AT-43: No one Escapes War! 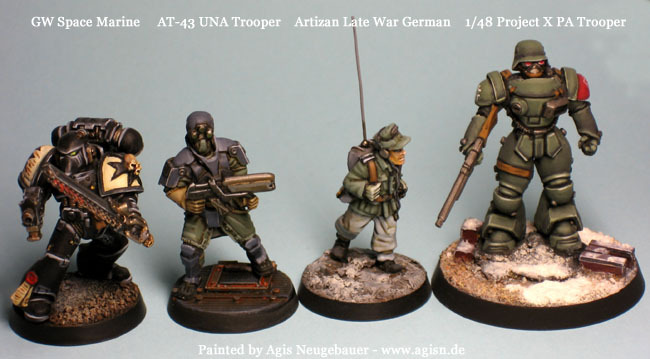 AT-43 is a science fiction tabletop wargame using 28mm miniature figures and terrain to scale developed and published by the French company Rackham. 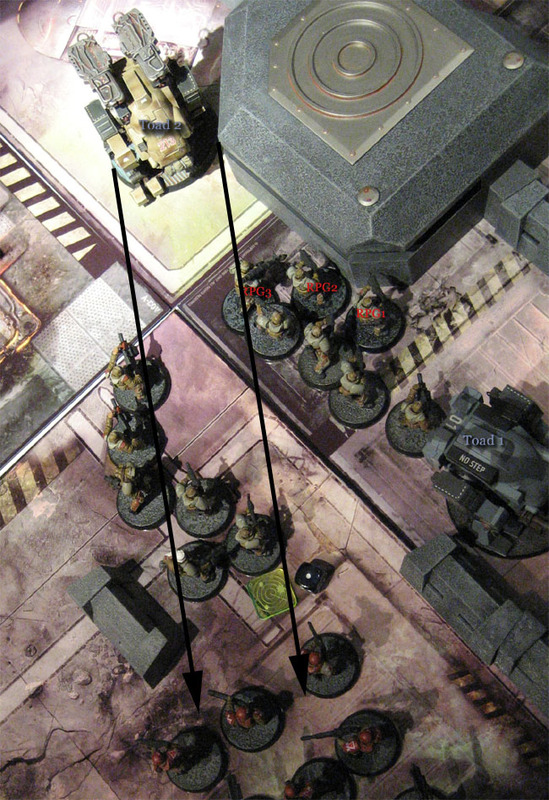 Released in December 2006, the game features pre-painted plastic miniatures of mechs and infantry units with corresponding cards showing the stats and gameplay options for each unit type. The first published product in the game line is the starter box "Operation Damocles" which comes with abridged multi-lingual rules. The main inspirations for AT-43 were typical Science-Fiction troopes from the 1950s and 1960s, but updated with a modern slant. The Cold War and the escalating conflicts from that period are also themes in the game. Stylistically, the game tries not to depict a dystopian future, but a future where propaganda from each side paints everything in bright colours. Personally I just love the miniature design, the background and the pre-painting idea. I can paint my armies reasonable fast and good, but let’s face it: not all gamers can do this. I am going to re-paint my forces eventually, but in between I can just play around with the out of the box minis! Below are a Therian, a Karman, a Red Blok Trooper and an UNA Steel Trooper. Check the sub-sections for more pictures.